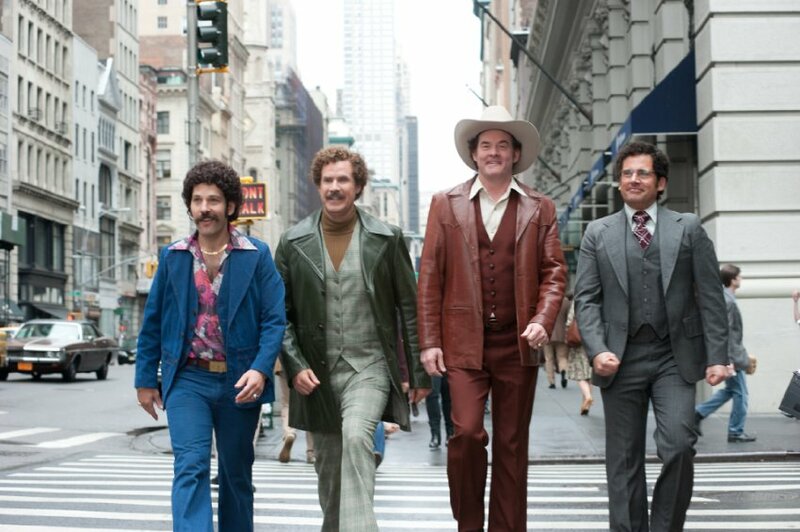 After the success of the first Anchorman ten years ago, cult fans of the movie eager for more laughs have been granted their wish. The sequel puts the four man news team in a different location and time, propelling the characters’ stories as it should. The only problem is that the story is stuck in neutral. Strip away the jokes and you’ll find that this tale of the foul-mouthed anchorman literally follows the exact same trajectory as the first film. It’s pretty funny, and at times hilarious, but ultimately suffers from the deadly decision most sequels follow, which is to increase the scope of the story. It’s never funnier than when we see these people in the news station, and once it goes outside and past its reach, its tires go flat. Ron and his wife Veronica Corningstone have a pretty good thing going anchoring the news together. They have a son and a home. But when she gets the coveted nightly anchor position and Ron gets canned, their relationship falls apart. 6 months later Ron is approached for a 24 hour news gig and we tag along as he assembles the news team once more. It’s the best part of the movie. These are great improvisational actors, and the addition of Kristen Wiig as Brick’s love interest only makes it better. The first hour is a rollercoaster of laughs, but after that it just feels like you’re waiting in line to ride the same thing again. It’s worn out. 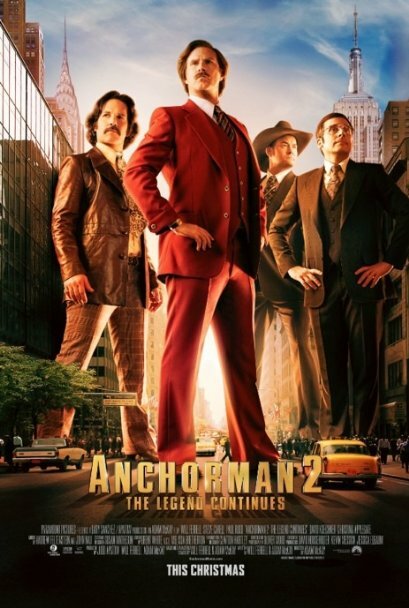 The biggest problem is that even though Ron Burgandy is the main character, he can’t carry the movie on his own. As in the first movie, Ron succumbs to his own lavish success and isolates himself from the rest of the cast, and it doesn’t work. There are funny lines and moments because of the brilliant Will Ferrell, but the decision to not utilize such a great cast makes no sense. Ferrell yells nonstop, references people no one knows, and at times is a bit overbearing. That’s not to say it’s a bad movie. Its most impressive feat is its satirical take on the transformation of news. It almost functions as a mockumentary of sorts, making fun of what the average person wants out of their daily news. Ron strikes gold exploiting adorable animal stories and covering high speed car chases. It’s a great reflection of what we consume today, and brings into question what exactly should be coined as “news.” Another high point is the use of Steve Carell’s immense talent. He gives the movie’s best performance as the unintelligent and unintentionally hilarious weatherman Brick. It’s nice to see him get more time here compared to the first movie, even if it does seem to take screen time away from the great Paul Rudd. There is a rule of thumb for movies that are strictly comedies. Every page of the script, which translates to about every minute of the movie, should have one good joke. It’s not doing its job if it doesn’t. At times I was laughing out loud, even had a little water in my eyes. 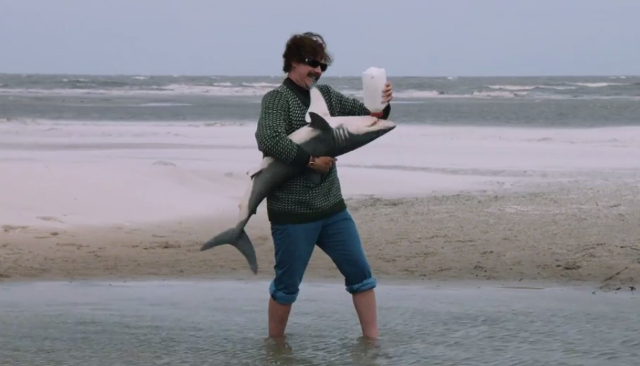 And at others (particularly a terribly misguided song about a pet shark), I was shaking my head wondering how such funny people could find it even close to ammusing. It’s produced by Judd Apatow, which implies that like most of his films it runs about 20 minutes too long. Truly funny movies should get laughs from any crowd and I doubt that this has that kind of widespread appeal. While there are plenty of laughs, they never lead to anything. It’s like an infomercial for jokes…we just keep getting new pitches about the same old thing. When all is said and done, you can’t help but think that the whole thing was just a little too stupid for its own good.